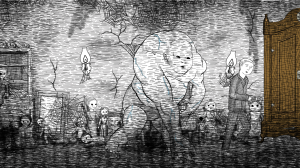 SANTA MONICA, Calif. – Sept. 18, 2014 – Neverending Nightmares, the psychological horror game that has been called “gorgeous” and “repulsive” in the same breath, will be launching on Steam and OUYA on September 26. In the game, players will take on the role of the harried and haunted Thomas as he awakens into nightmare after nested nightmare. Thomas must evade the phantasms of sleep and safely traverse these horrorscapes in a desperate attempt to discern fact from fiction; to survive until morning, he will have to learn the truth behind the nightmare. 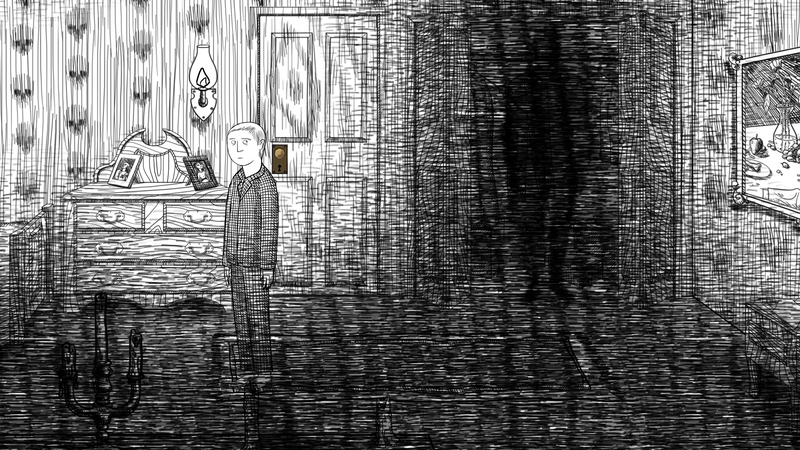 A success story of OUYA’s Free the Games Fund, Neverending Nightmares will be available for the discounted price of $13.49 on Steam and OUYA during launch week only. 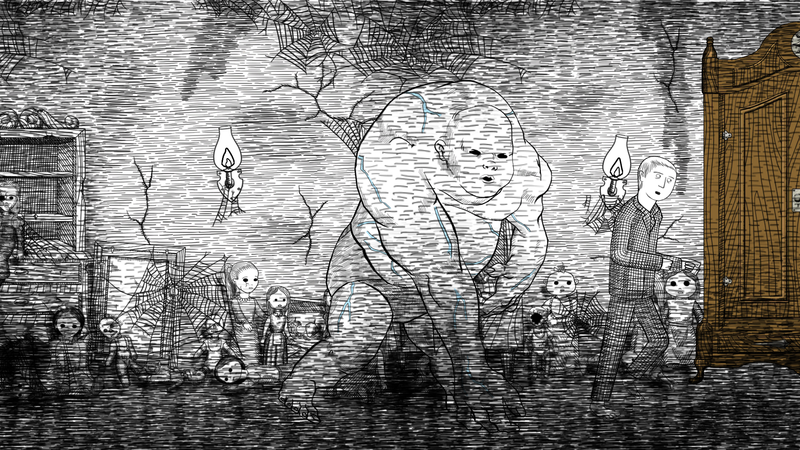 Neverending Nightmares’ stark, vivid art style is inspired by Edward Gorey, rendered in striking black and white penstrokes and enlivened with splatters and splashes of lurid blood-red. The game also features a dynamic light-and-shadow system that sketches dark areas in and out of existence. For a close-up look at the horrors that await you, check out the launch trailer: https://www.youtube.com/watch?v=lLqHUSefBjw. Infinitap Games is an indie studio founded by Matt Gilgenbach, the designer of the award winning game Retro/Grade. Their mission is to create terrifying and thought-provoking psychological horror games. 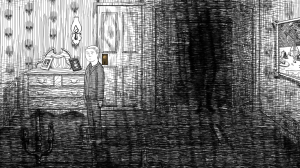 Neverending Nightmares will be their first released game as a studio.